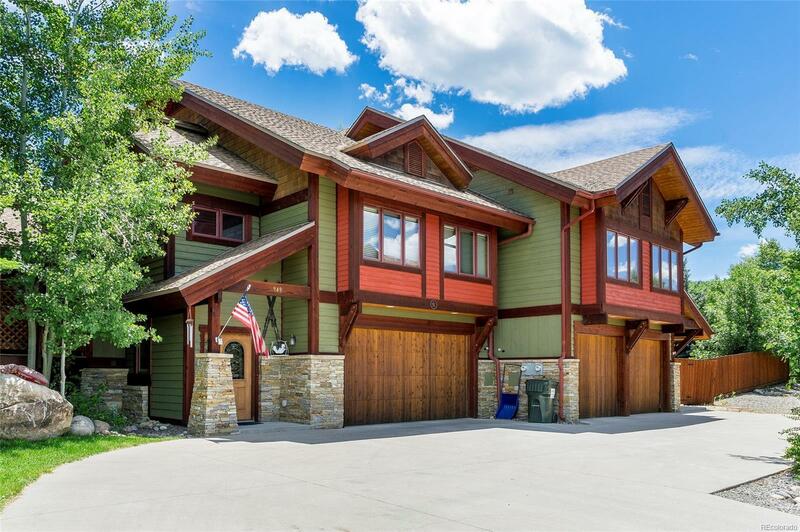 This custom built corner home enjoys convenient access to downtown and Fish Creek Falls. Here youâll indulge in elegant nuances like craftsman stressed oak hardwood flooring, granite kitchen counters, open dining and multiple sliding doors to the outdoor space. The home is built on four levels with a lower-level family room, mid-level living area and top-floor master suite. The master bedroom includes a wall of windows for tremendous natural light and gorgeous bathroom fixtures. The side deck includes a large hot tub nestled below a heavily wooded lot for superior privacy, and a separate flagstone patio is the prime place for outdoor cooking and gathering. The attached 2-car garage includes plenty of space to park both cars and stow your gear. Located near the junction of Tamarack and Fish Creek Falls road, this property is both stunning and easily accessed. New roof in 2017.